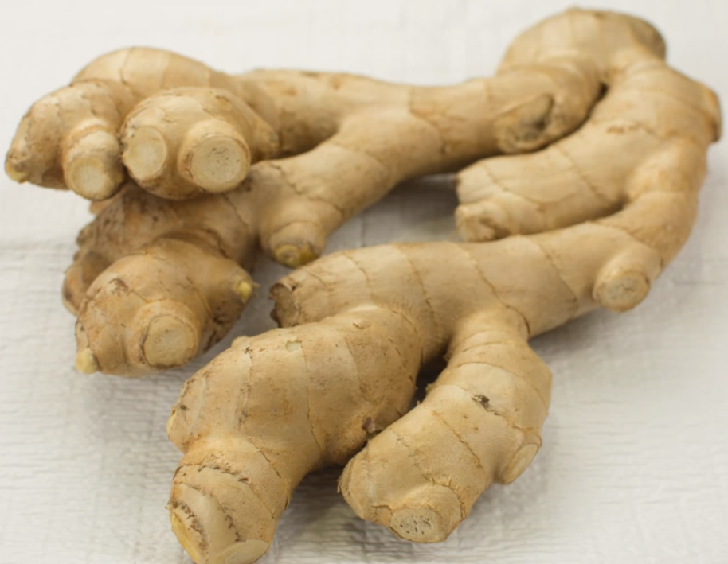 Pungent, spicy ginger root is a popular root herb of culinary as well as medicinal importance. The root, which composes unique phytochemical compounds, still finds a special place in many traditional Indian and Chinese medicines disease preventing and health-promoting properties. Ginger has been in use since ancient times for its anti-inflammatory, carminative, anti-flatulent, and anti-microbial properties. Total antioxidant strength measured in terms of oxygen radical absorbency capacity (ORAC) of ginger root is 14840 µmol TE/100 g.
The root contains health benefiting essential oils such as gingerol, zingerone, shogaol, farnesene, and small amounts of β-phellandrene, cineol, and citral. Gingerols help improve the intestinal motility and have been anti-inflammatory, painkiller (analgesic), nerve soothing, anti-pyretic as well as anti-bacterial properties. Studies have shown that it may decrease nausea induced by motion sickness or pregnancy and may help relieve a migraine headache. Zingerone, a chemical compound which gives pungent character to the ginger root, is effective against E.coli induced diarrhea, especially in children. Furthermore, the herb also contains a good amount of minerals like potassium, manganese, copper, and magnesium. Potassium is an important component of cell and body fluids that helps controlling heart rate and blood pressure. Gingerols increase the motility of the gastrointestinal tract and have analgesic, sedative, anti-inflammatory, and antibacterial properties. Studies have shown that it may help reduce nausea caused by motion sickness or pregnancy and may relieve a migraine.